No, seriously, this is random. 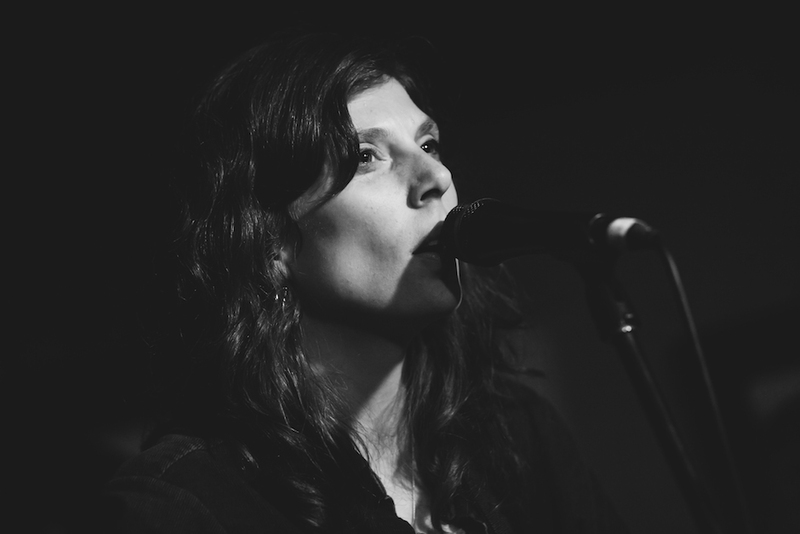 Yes, Ruth Minnikin sang on the last album, and now here we are talking about one of hers, but honestly, it’s random. Depend On This is two variations of one EP. Side one (and yes, I own on this on vinyl) has six songs in a straight up folk-pop arrangement with elements of ragtime and jazz, while side two could be described as dance arrangements… if dance used so many orchestral instruments. The vast array of instruments is definitely a highlight of this record. Minnikin’s records generally are a bit more sparse, and this record provides a much more varied soundscape. The bass clarinet seems to the instrument holding the sound down throughout the record. I’m not always a clarinet fan, but it seems to work well. The “cha-cha-cha” at the end of “Four Churches.” Yes, definitely this. It’s a great song regardless of that fact, but it adds so much. I might suspect I enjoy “Sleeping and Dreaming” as it describes a condition I have, but I don’t think so, I think it’s just generally a pretty good song. I’ve never dreamed of The Beatles that I recall, as I don’t recall if I ever dream, but if I did, THAT WOULD BE AWESOME! 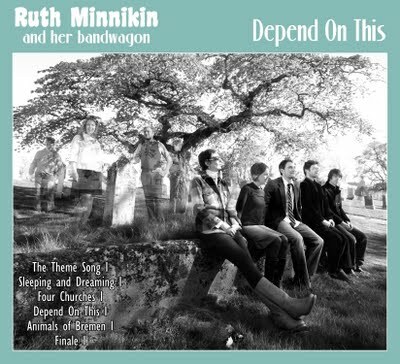 “Depend On This” is amongst Minnikin’s best songs. Definitely the highlight to this album, and her career. The biggest problem to this record is that it’s the same thing twice. Yes the remixes are quite different from the first side, but it’s not a big enough difference to hold your attention for it twice in a row. Those pieces work better in shuffle mode amongst a larger collection. I’ve had the privilege of meeting Ruth Minnikin a few times, and sent her a quick email asking if she’d be willing to participate. Luckily she was, so I present to you an email interview done from Canada to Korea. AA: How do you see Depend On This now that you’ve had a few years to process the album? RM: I just finished listening to Depend on This, start to finish, for the first time in a long time! Early on in the album’s development, I was aware that it would be an epic sound journey. I envisioned it as a piece of sound art, conceptually based around the music-making ritual itself! Re-visiting it now, i am still very proud of the project! AA: What song(s) stand out to you and why? RM: “Sleeping and Dreaming” pulled on my ol’ heartstrings. I wrote it about my Dad, his sleep apnea diagnoses, surgery, and then his recovery. When he had finally gotten to dream, after decades of no REM sleep, he dreamt that The Beatles were coming (for the first time) to North America! He woke up in a state of excitement and confusion, he thought that he must buy his tickets at once! My Dad passed away in 2010 and now he frequents my dreams!! AA: Which did you enjoy making more, side A or side B? RM: This record felt like a pulsing mountain that I needed to conquer! It took years to write and record. There were around 30 musicians (from around the world), 3 producers (myself, Andrew Watt and Charles Blazevic) and visual artists (myself, Craig Buckley and Jesse Jacobs) involved. Some of the songs had over 100 tracks! I couldn’t possibly imagine picking a favourite side! It was just as much about the endless climb to the summit, as it was the admiration of the vista from it’s peak!! I just can’t compare the two! RM: This is a snapshot taken from a period in my life! It is all relevant and necessary! It can not be separated from me, as it is me! It’s one single art piece with several ways of perceiving it!! AA: How do you feel you’ve changed as a musician since the release of Depend On This? RM: Nothing has changed. I am still performing, making music and using it as a tool for therapy and creatively. Performing and writing will be with me forever. I am very excited for the ideas i haven’t yet thought of, the concerts i haven’t performed (or seen) and the albums i haven’t written (or heard)!! I am extremely thankful for my family (full of musicians and creative minds), my musical family of old and dear friends (including my brother Gabriel Minnikin, who i have traveled the world with performing) for being so incredibly supportive and never once telling me to give up on my zany ideas!! My life has been formed and guided by my family and art and music making. These are powerful forces that I will continue to let push me in the right direction!! Thank you again, Ruth. Photo by Randal Tomada.